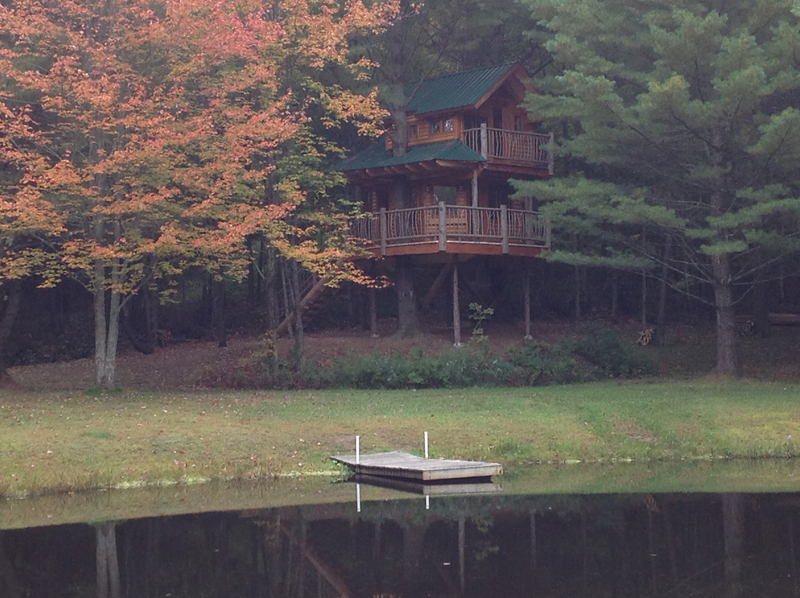 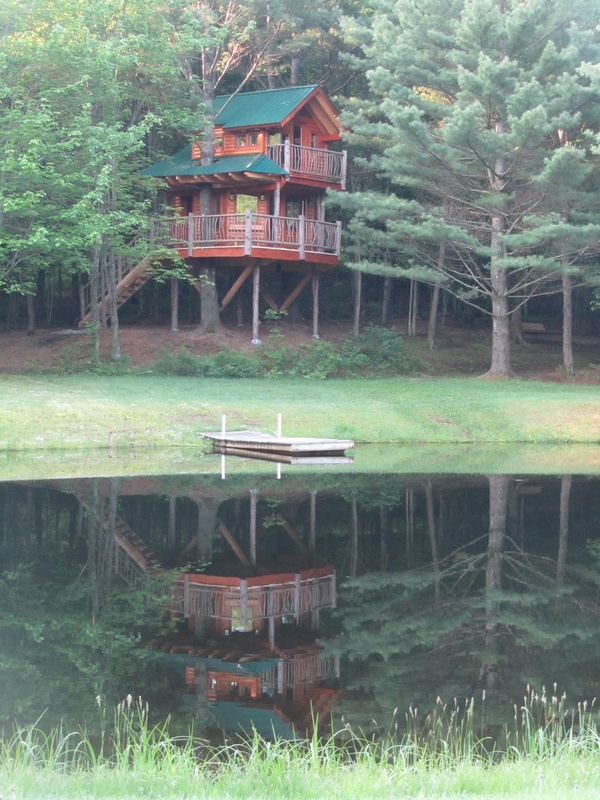 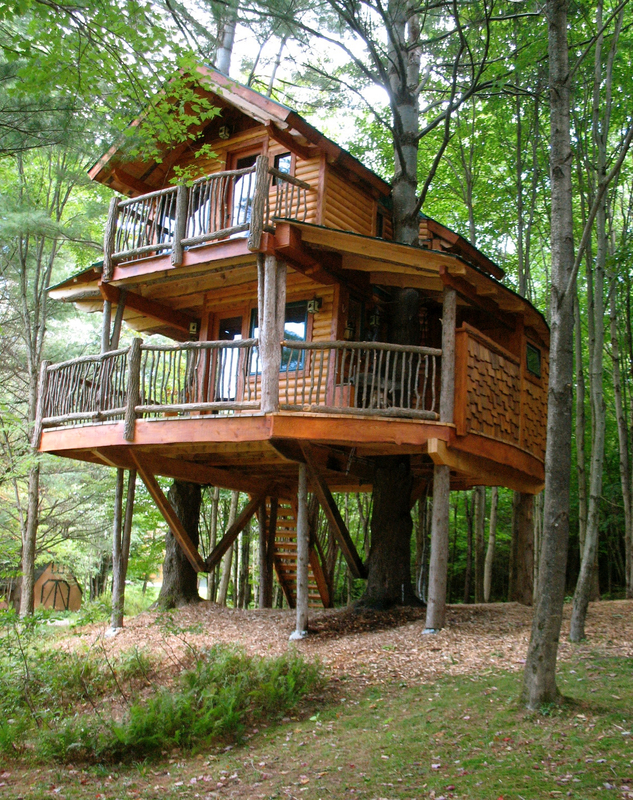 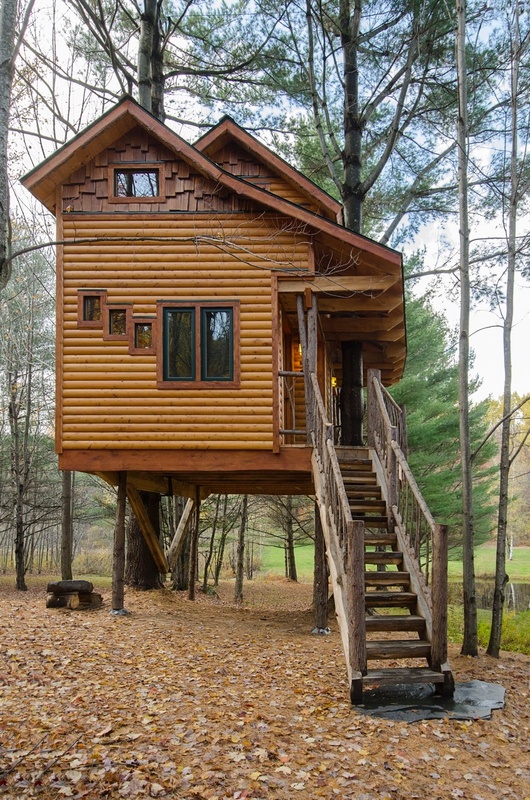 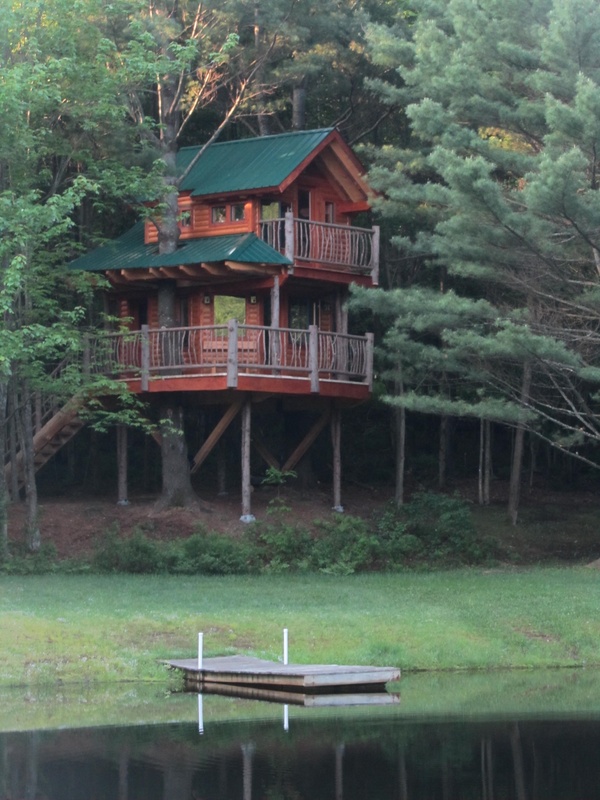 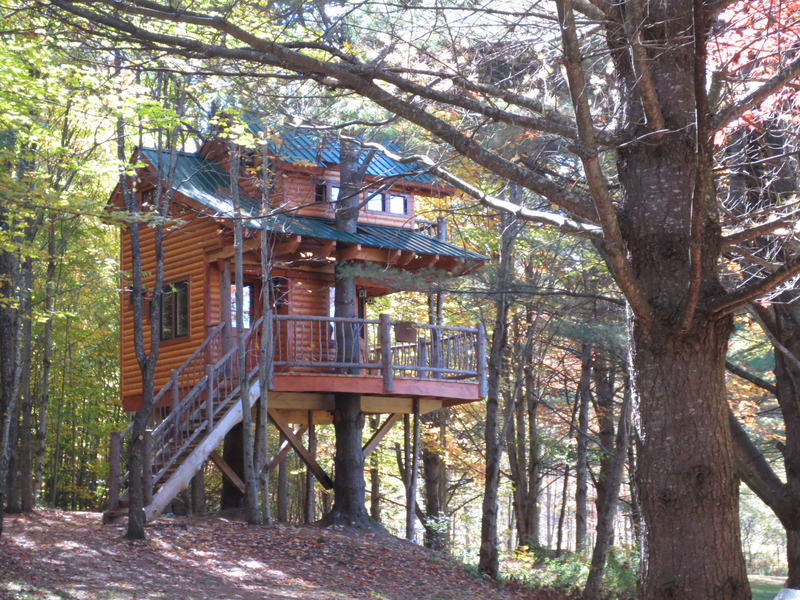 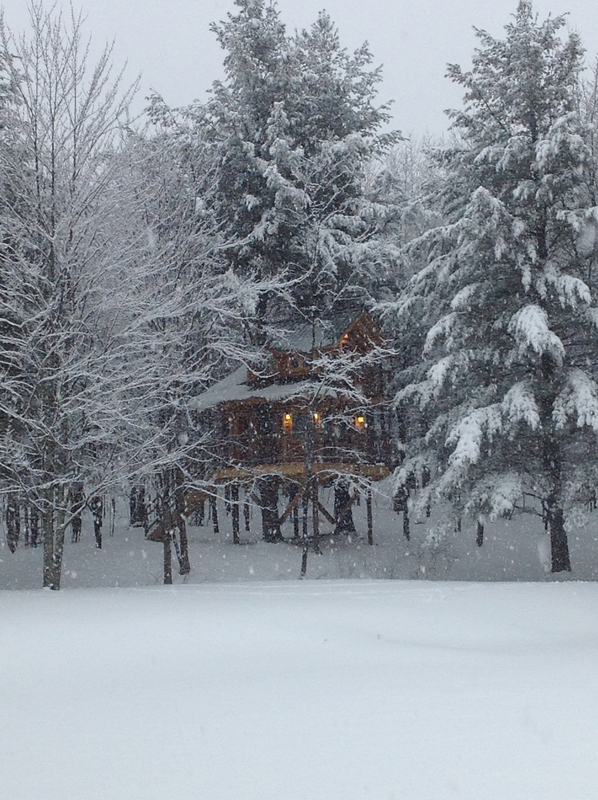 Have you dreamed of a treehouse rental in New England? 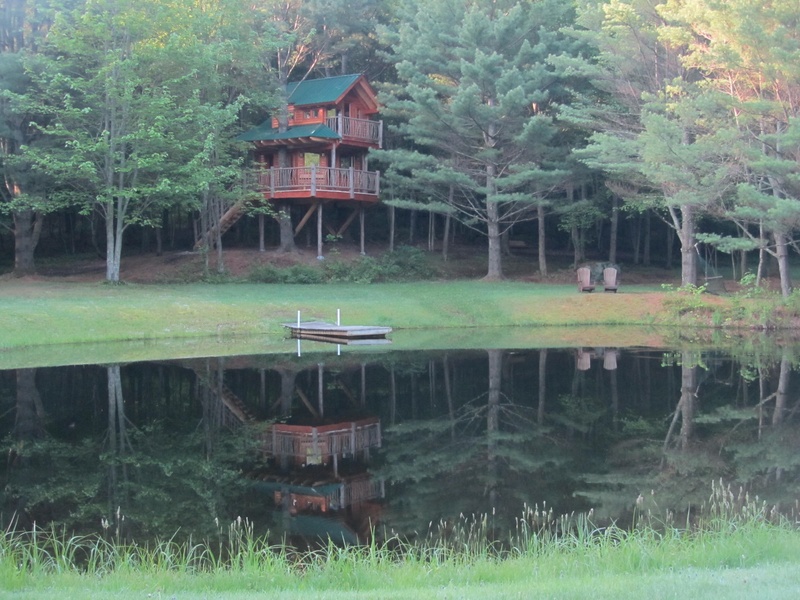 Imagine waking up to the splashing of rainbow trout and the music of the hermit thrush as you gaze out on the pristine pond at Moose Meadow. 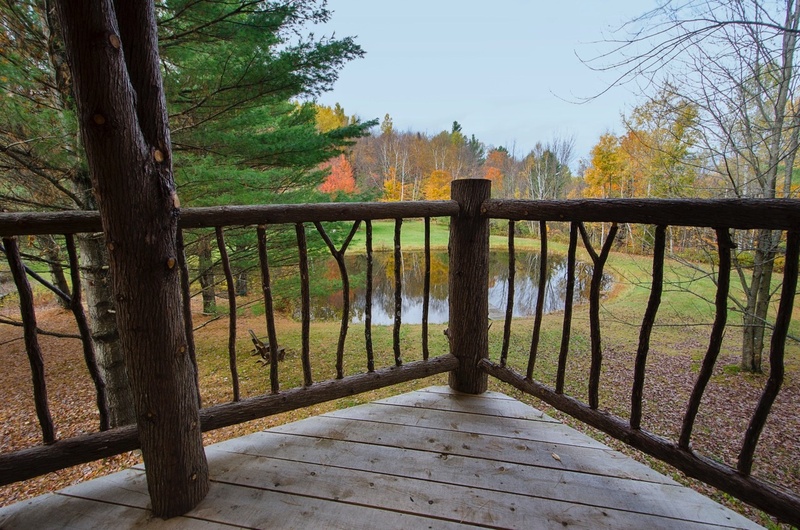 The Treehouse at Moose Meadow is where nature and luxury come together in tranquil harmony, and where your imagination can soar. 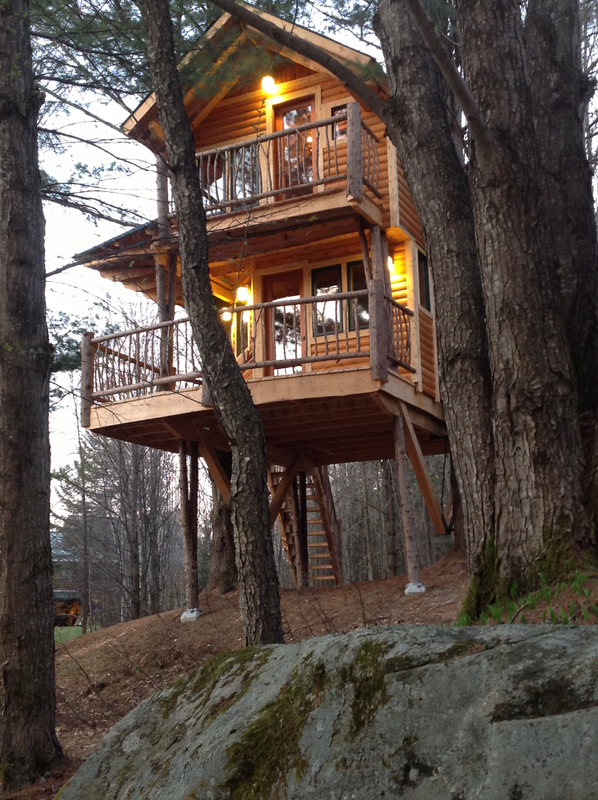 This is an experience that will change you forever. 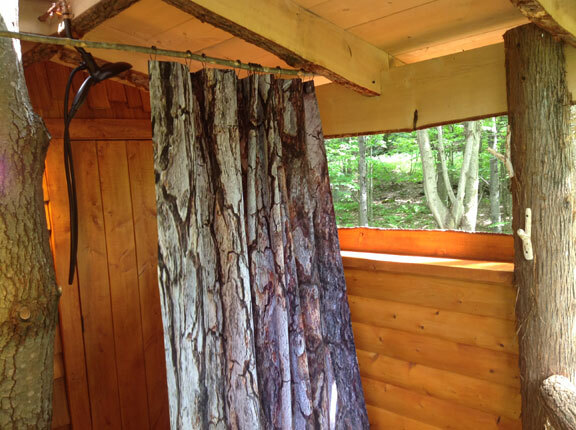 Supported by two mature pine trees, the Treehouse at Moose Meadow is redefining glamorous camping or "glamping." 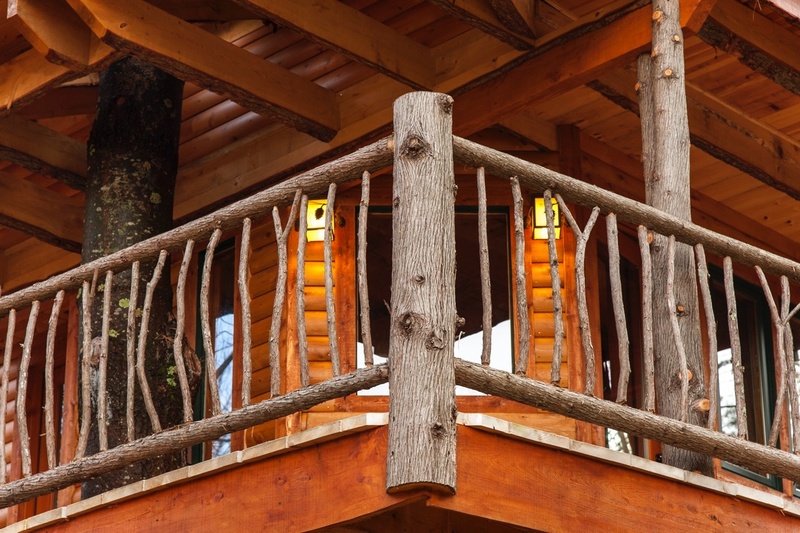 Designed for those who enjoy camping as well as creature comforts, this handcrafted two-story nest is made with cedar, pine, maple and hemlock. 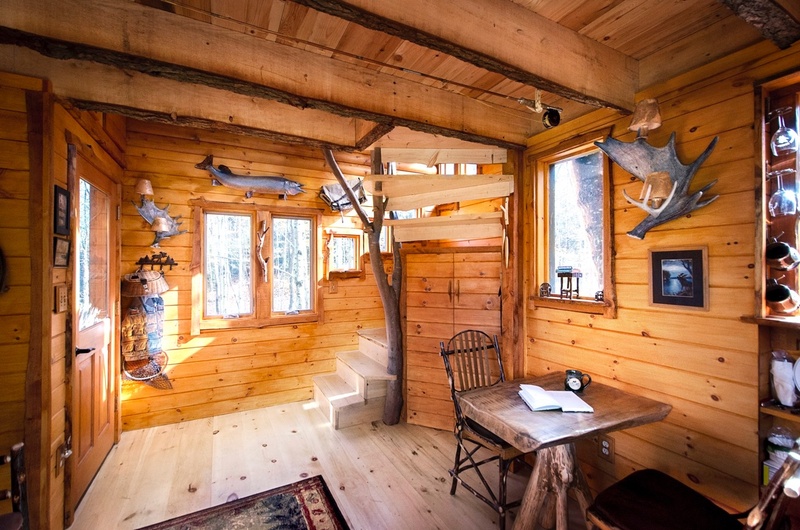 Its 31 windows maximize your experience of the natural surroundings. 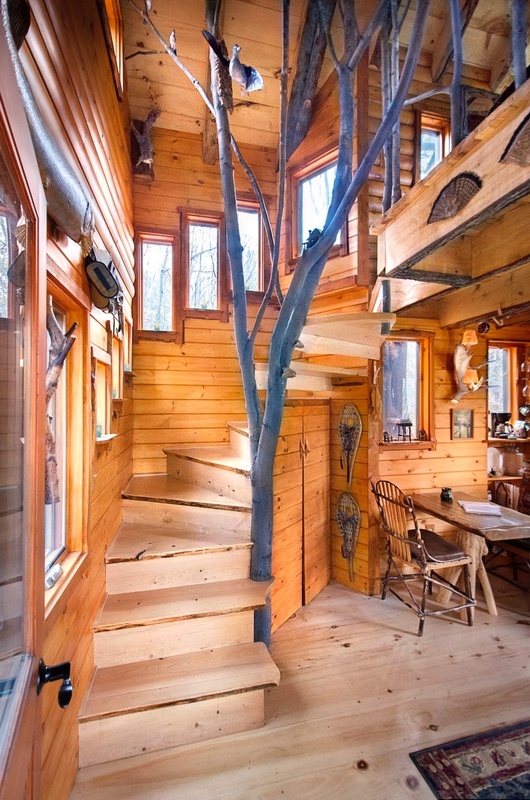 This magical New England treehouse getaway features a living & dining area on the first floor with an expansive wrap-around deck. 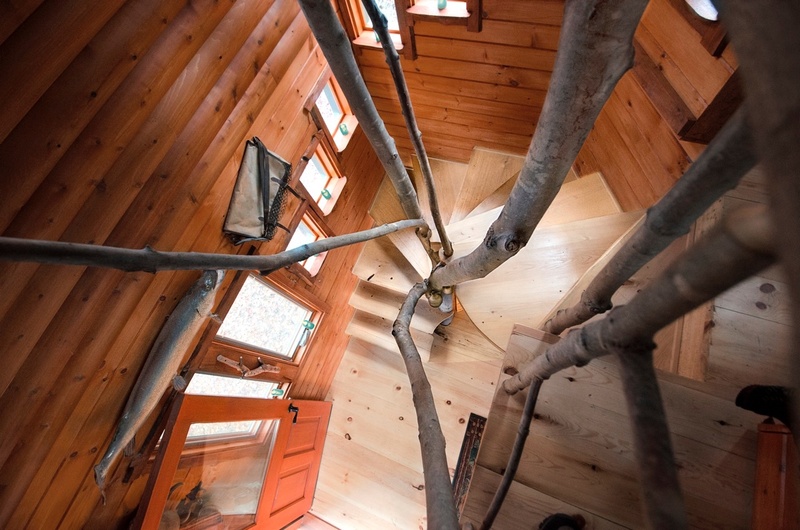 Enjoy the view of the woods as you climb up the circular staircase wrapped around a maple tree. 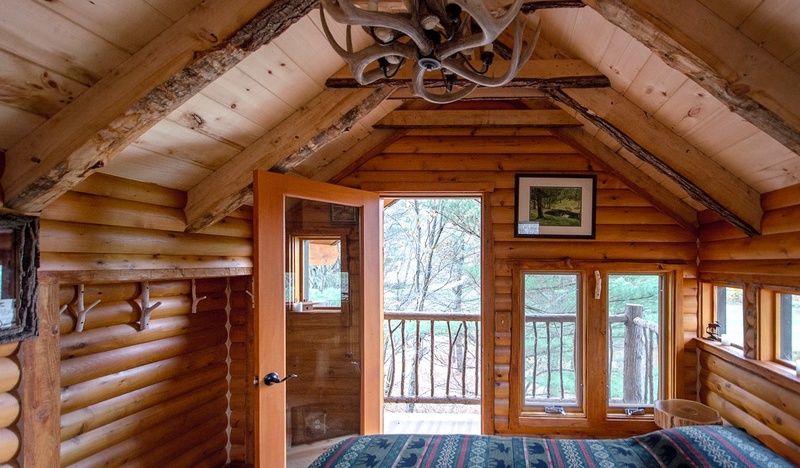 The second-story bedroom with its custom made queen size bed provides comfort and warmth, while the balcony provides a high perch to take in the surrounding natural beauty. 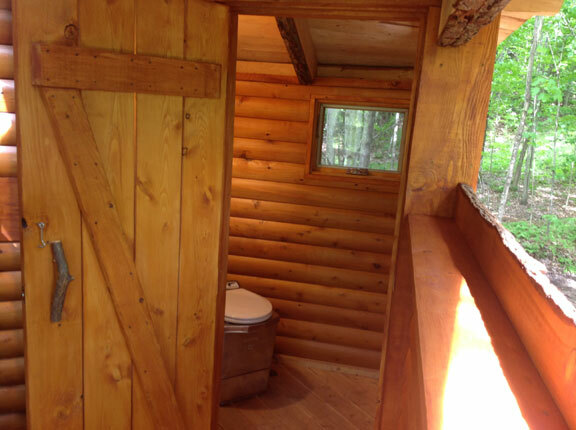 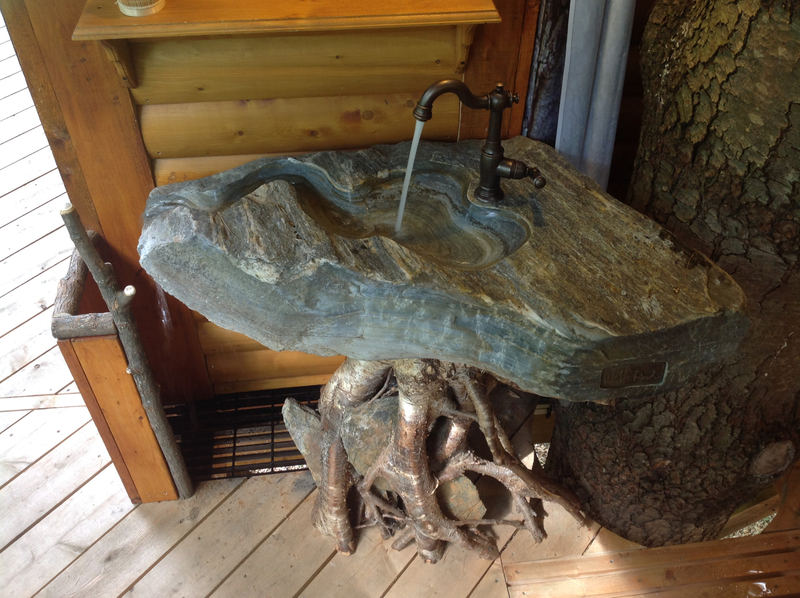 The new bathroom on the first-floor deck includes a custom sink made from a rock on the property, a shower and an incinerating toilet. 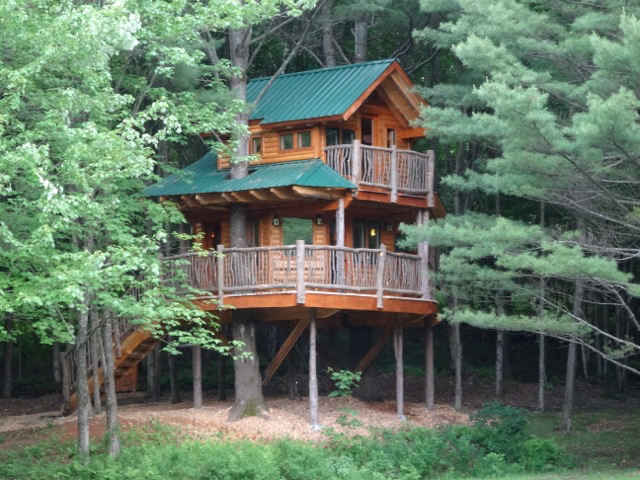 The treehouse accommodates two persons in the queen bedroom loft, plus one or two more on the floor in the first floor. 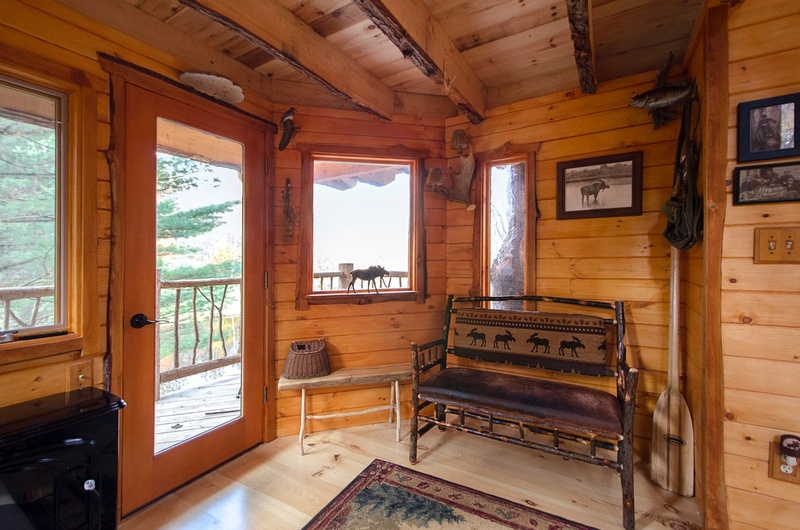 For more than two people, a charge of $20 per person per night is added to the rate. 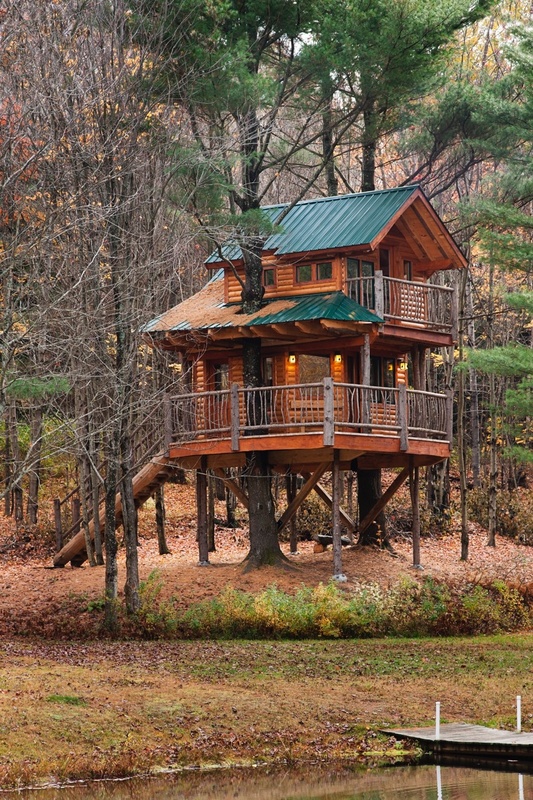 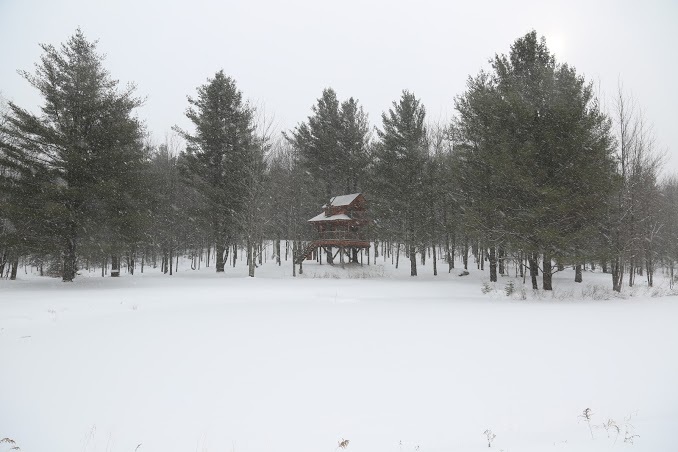 The Treehouse at Moose Meadow is perhaps the only treehouse in Vermont that is fully licensed as a bed & breakfast by the State of Vermont, having passed rigorous regulations for structural integrity, fire safety, electrical, plumbing, water and health requirements to be a public-use facility. 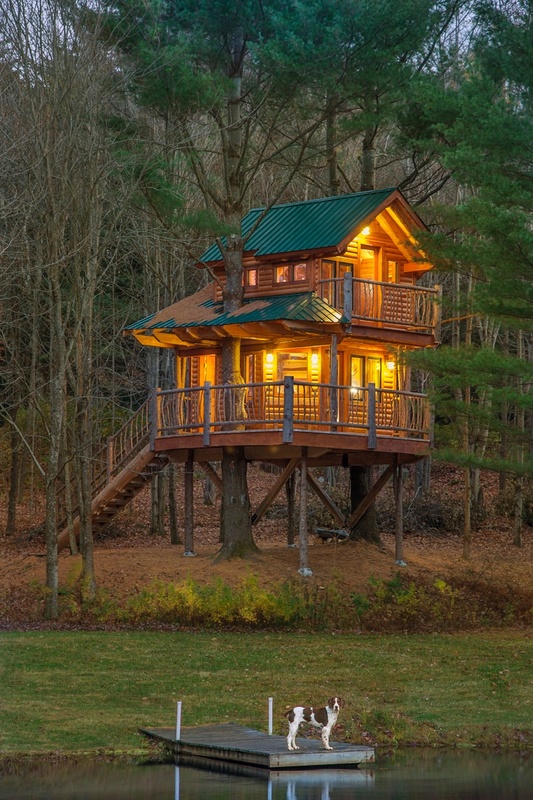 The treehouse was started by students of the Yestermorrow Design/Build School and completed by their instructor Eyrich Stauffer and his talented crew at Stauffer Woodworking. 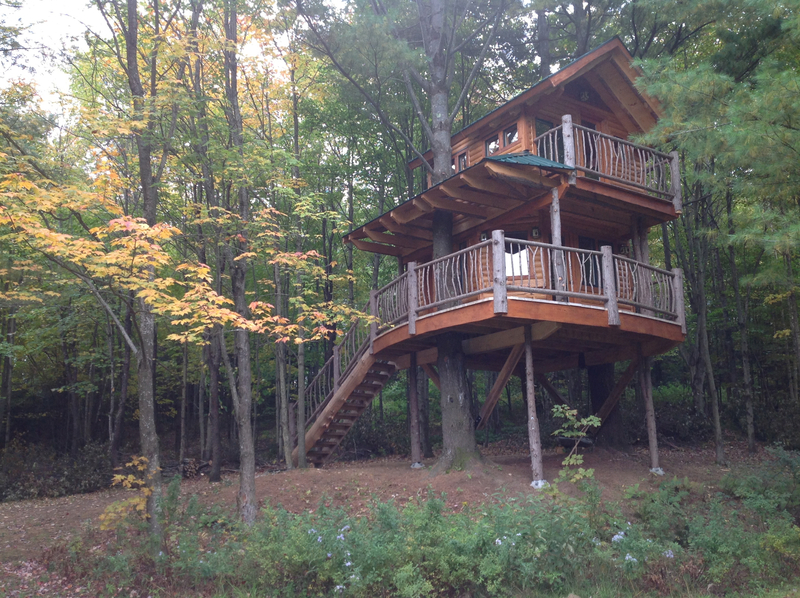 The Treehouse is open seasonally mid May through October.